January 18, 2012 Next week: Anaheim, Santa Ynez, Temecula and Reno...we can't wait to see you!! Is January almost over? January 18, 2012 Head on over to the Diana Warner Facebook page! She's designing the next round of "STYX by Diana Warner" jewelry right now and you can give your inspirations and ideas and be a part of the process. She'll also be doing a drawing for some STYX jewelry soon, so make sure you check it out. January 18, 2012 NAMM Update: Todd Sucherman will be NAMM signing autographs at the Pro Mark/D'Addario booth Friday at 1pm! January 16, 2012 Remembering #MLK today. "Faith is taking the first step even when you don't see the whole staircase." January 15, 2012 Styx: The Grand Illusion/Pieces Of Eight Live on DVD, Blu-Ray, and DVD/2CD on January 31. This show was recorded November 9, 2010 at the historic Orpheum Theater in Memphis, on the tour that saw them perform both these albums in their entirety for the first time. The 20-...song, two-hour and 11-minute presentation features stunning high-definition visuals accenting the complex musical arrangements recorded in DTS-HD Master Audio, Dolby Digital 5.1, and LPCM Stereo. The staging of these two multi-platinum albums and the fevered response makes this concert a must for all STYX fans. Styx: The Grand Illusion/Pieces Of Eight Live also includes the bonus feature “Putting On The Show,” an inside look at the people and equipment needed to stage such a massive spectacle. HDNet channel will re-broadcast the 2006 concert special, “One with Everything - Styx & The Contemporary Youth Orchestra of Cleveland,” on Sunday, January 22 at 9pm ET/PT. STYX joined forces with Cleveland's Contemporary Youth Orchestra--a 171-piece orchestra and choir composed of students aged 13-19--to perform various STYX classics. Check local listings for all of the programs. January 15, 2012 What did you guys think about the show today on NBC Improv on Ice? Did you see it? 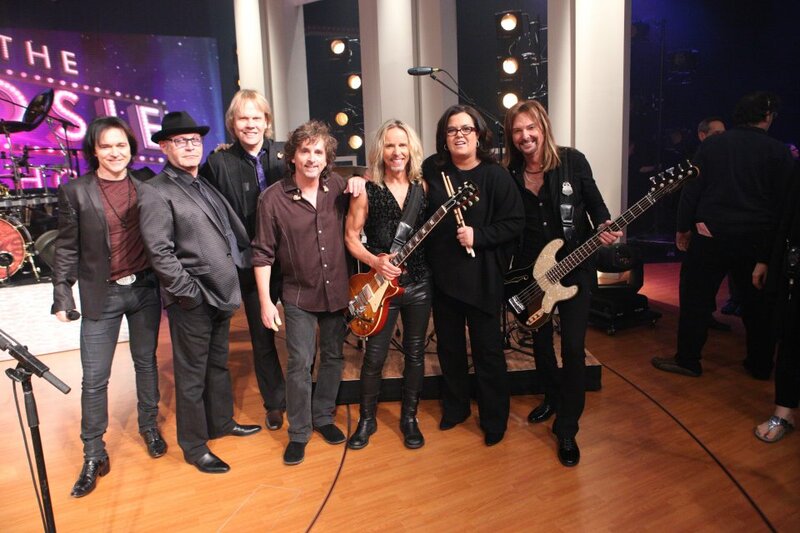 January 15, 2012 Styx performs on" Improv on Ice" on NBC today! 4pm EST. January 13, 2012 TV Alert Part 2! Sunday: "Improve-Ice Starring STYX" on NBC @ 4pm ET/PT. Check out Disson Skating (below) for behind the scenes videos and photos! January 12, 2012 Anyone going to NAMM? Ricky will be there signing and taking photos on Saturday the 21st. Noon at Ampeg and 3pm at Letrosonics. Mark. Your. Calendars. Airwaves takeover starts tonight! Catch us on Rosie tonight on OWN at 7pm ET/PT. 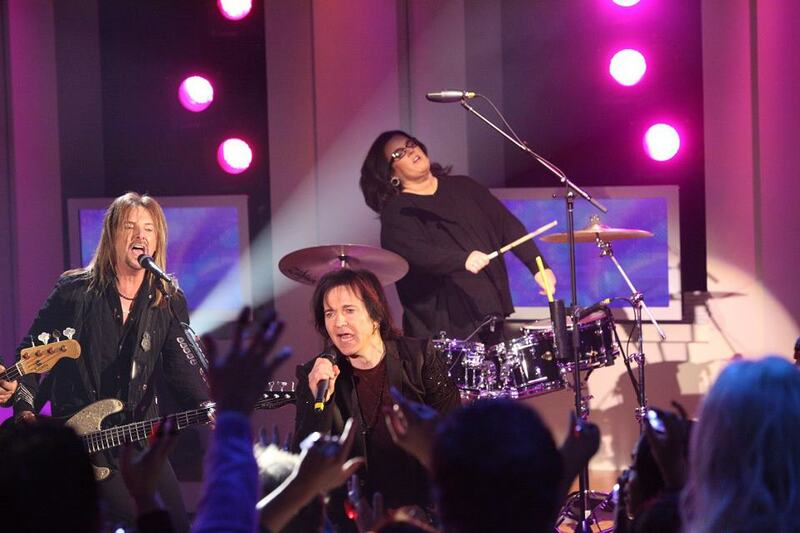 You'll get a glimpse of Rosie O'Donnell playing drums with us. We had an awesome time shooting it! January 6, 2012 Set your DVR's!! We're invading your TV's this month. Jan 11 = "The Rosie Show" on OWN Network at 7pm. January 14= VH1's NEWLY UPDATED "Behind the Music Remastered" on VH1 Classic at 9pm. January 15= "Improv-Ice Starring Styx" on NBC at 4pm. January 22= Re-air of "One With Everything" show on HDNet at 9pm. All times eastern, check your local listings for info!!! January 5, 2012 Todd Sucherman has been nominated for "Best Instructional DVD" and "Prog Rock" drummer in Modern Drummer magazine's reader's poll. Let's get behind him and vote! Tommy and Jason do the majority of the posts.